Okra is a wonderful vegetable with lot of health benefits. But you need to know how to cook it. Indian way of okra curry with all spices makes okra very tasty. I would highly suggest to try indian okra recipes. I saute some onions, add cut “fresh” okra and all spices, ginger-garlic paste and salt. I can’t stress enough to use “fresh”. It really makes me sad when i see ppl opening cans or everything frozen even when fresh is easily available. 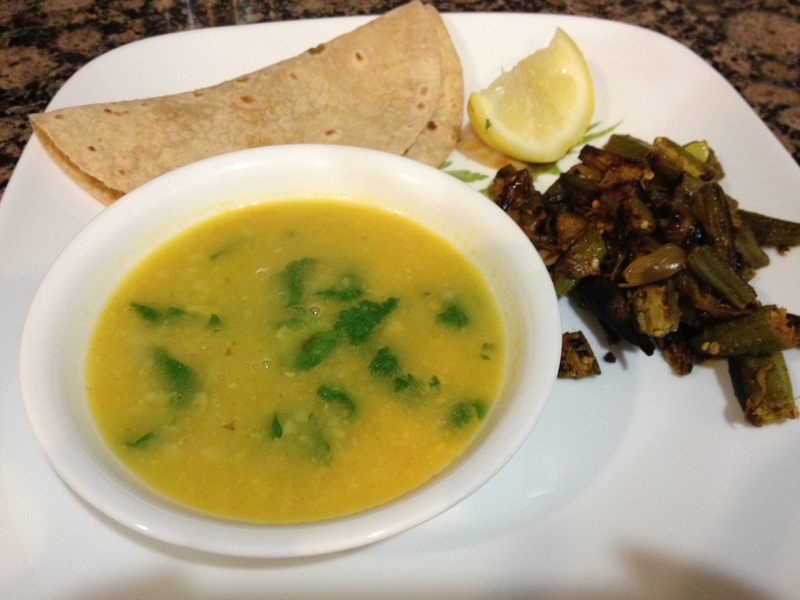 I made chevti dal to go with okra.